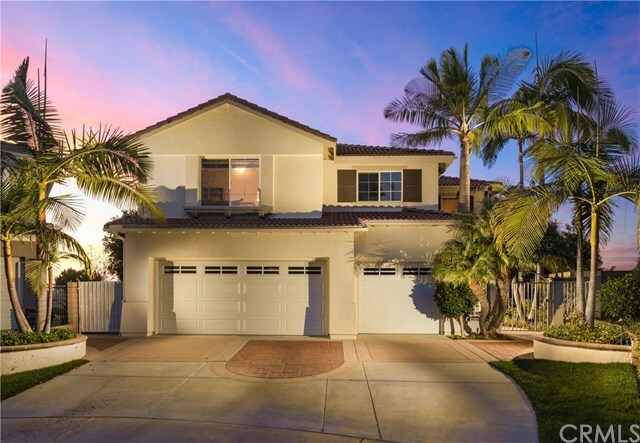 Colorful sunsets and panoramic views from this spacious pool home located at the end of a cul-de-sac in the gated community of Quail Run. The backyard is an entertainerâs dream with a stylish pool and waterfall, separate spa, built-in barbecue and gazebo with romantic views. Enter through the private gated courtyard and you will be greeted by soaring two-story ceilings flooded with natural light. The large kitchen opens to the family room and boasts a center island, double sinks, slab granite countertops and a walk-in pantry. Open and spacious, this floorplan was a builder option to be five bedrooms but is currently configured as four bedrooms plus an oversized upstairs family room that could be a media room. In addition, there is an upstairs loft or office. One of the bedrooms is conveniently located downstairs. Enormous master suite with a private viewing balcony, walk-in closet, separate tub and shower, separate sinks and a make-up vanity. Three car garage with ample shelving. Save with no mello roos tax, a brand new furnace, a home that was recently re-piped with PEX and a price that has been reduced by $126,000. Private 2.5 acre park with sand volleyball, playground and more. Lake Mission Viejo rights with sailing, kayaking, fishing, sandy beaches, summer concerts, outdoor movies and endless family fun. Award winning schools. Welcome home.